A council’s proposals to ban some mobility scooters from pavements as part of a crackdown on “anti social behaviour” are “outrageous, discriminatory and wrong” and likely to lead to a rise in disability hate crime, say disabled campaigners. 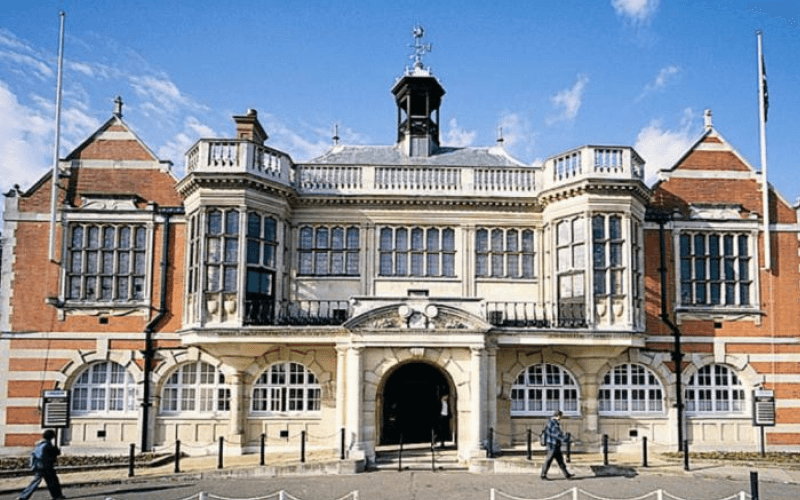 The measure is included in a public consultation on a new Public Spaces Protection Order (PSPO) being considered by Enfield council in north London. The possible ban on the use of “mopeds, scooters and other similar transport on pavements without reasonable excuse” is being considered alongside other “anti social behaviour” such as throwing fireworks, public drunkenness, urinating in public areas, and prostitution. Although manual wheelchairs and mobility scooters with an upper limit of four mph would be excluded from any ban, scooters with “an upper speed limit of eight mph” – which can be used on both roads and pavements – would be forced onto the roads. Although the poorly-worded consultation question is unclear about what it is suggesting for scooter-users, a council spokesman has confirmed to Disability News Service that the measure under consideration would see mobility scooters with a top speed of eight mph banned completely from pavements throughout Enfield. Paula Peters, a member of the steering group of Disabled People Against Cuts, and herself a user of a scooter with a maximum speed of eight mph, said that forcing disabled people like her onto the roads was “blatant exclusion and discrimination” and would risk their safety. She said: “We all know that car drivers are not considerate and drive really fast, and do not see cyclists or even other cars. Peters (picture at a protest on her scooter) said she had been subjected to abuse – and even an attempted assault by a group of teenagers – while using her scooter on pavements near her home in Bromley, in south-east London. And she warned that this kind of attack would become more common in Enfield if the council went ahead with the ban. She said: “What we will see is a ramping up of targeting of disabled people if this idea becomes law, the residents taking the law into their own hands, and ramping up of physical and verbal abuse towards disabled people if they try and access the public pavements. Anne Novis, a coordinator of the Disability Hate Crime Network, said she was “outraged” by Enfield’s proposal. She said: “It is appalling that any council would consider, let alone implement, a ban on disabled people using an aid such as a mobility scooter from pavements. “They need access to the pavements to get as near as possible to shops, clinics, social venues, etc, due to mobility issues. “Discrimination against disabled people is illegal and in my eyes this is outright discrimination and indicates a lack of understanding from the council about the barriers disabled people face. “There is also the issue of hostility, or hate crime, which so many Deaf and disabled people experience already due to us being perceived as ‘irritants’. “Enfield council will encourage this viewpoint by this proposal, let alone its implementation. “Many will use it to abuse disabled people on mobility scooters, regardless of speed, as another stick to beat us with, another excuse to perpetrate hostility against us. “To place disabled people who use a certain aid with groups such as prostitutes and public drunkenness also perpetrates a negative perspective about disabled people. The Enfield council spokesman confirmed that the council was asking residents whether they wanted to ban eight mph mobility scooters from all pavements in the borough. He said: “Proposals have not yet been developed for a Public Spaces Protection Order (PSPO) in Enfield as we are still consulting with local people on the types of anti-social behaviour they believe need to be tackled to improve the community’s quality of life. “Whilst some forms of anti-social behaviour blight our residents’ lives and we receive regular demands that we take action to address them, we have made it clear that our residents’ views will help shape the approach we should take so that we target the right areas for the right reasons. “By working with our residents in tailoring the right PSPO to their needs – what they think should be in and what left out – we hope to tackle the problems that affect them and thereby help improve their quality of life.